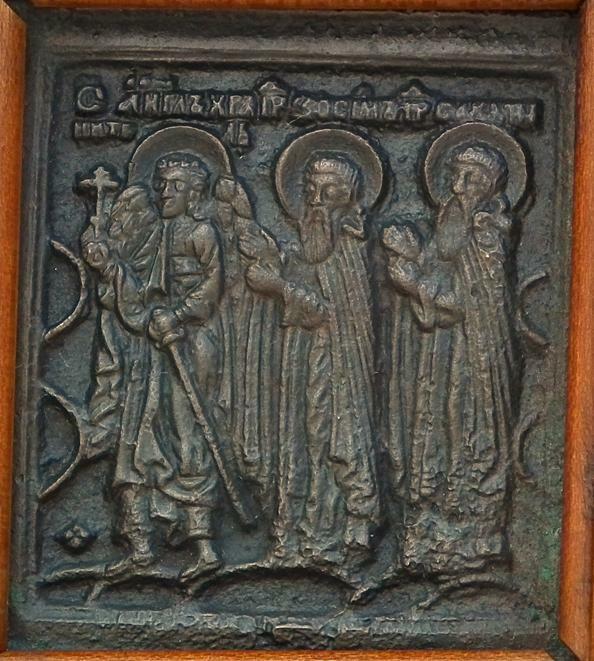 Authentic antique, 19th century, Russian Triptych icon Deesis with Selected Saints composed of three bronze icons mounted in wooden casing. 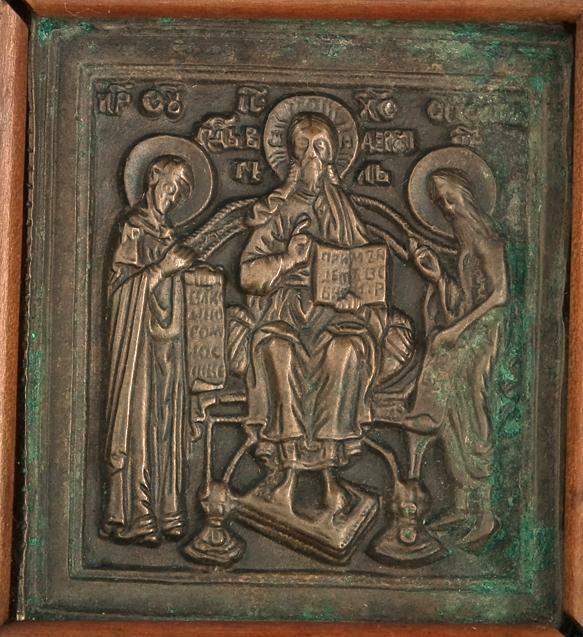 The Savior enthroned with mourning The Virgin and John the Baptist in the center panel, flanked by two icons depicting The Guardian Angel and saints: Zossima and Sabbatius of Solovetskii monastery. CONDITION: In good condition considering its age of 100 years, no repairs or restoration. Wooden frame joints showing shrinkage over the years. DIMENSIONS: Length of the base 29 cm (11.4 in).height: 12.5 cm (4.921 in).Dimensions of the central icon: 6.3cm x 5.7 cm (2 1/2 in x 2 1/4 in). 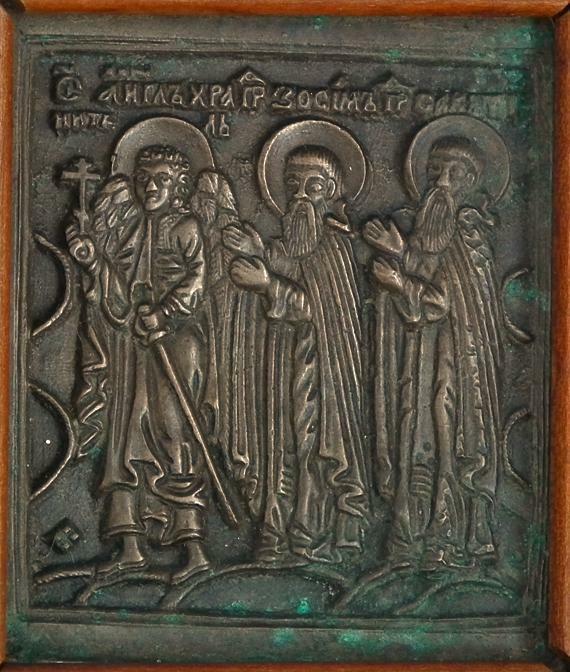 Dimensions of the flanked icons; 5.8 cm x 5.1 cm (2 1/4 in x 2 in).